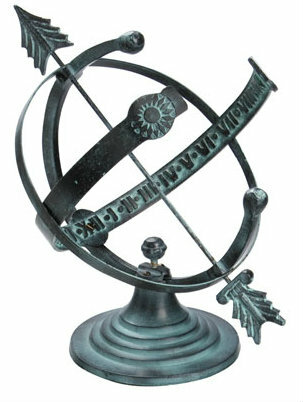 The Aluminum Armillary Sundial by Rome is constructed of cast aluminum with a distressed verdigris finish. 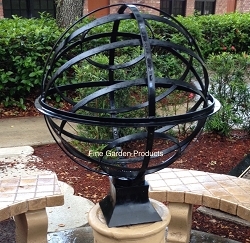 The angles adjust for accuracy. Usually leaves warehouse in 2 days or less.